Clip it and be charged and seen! 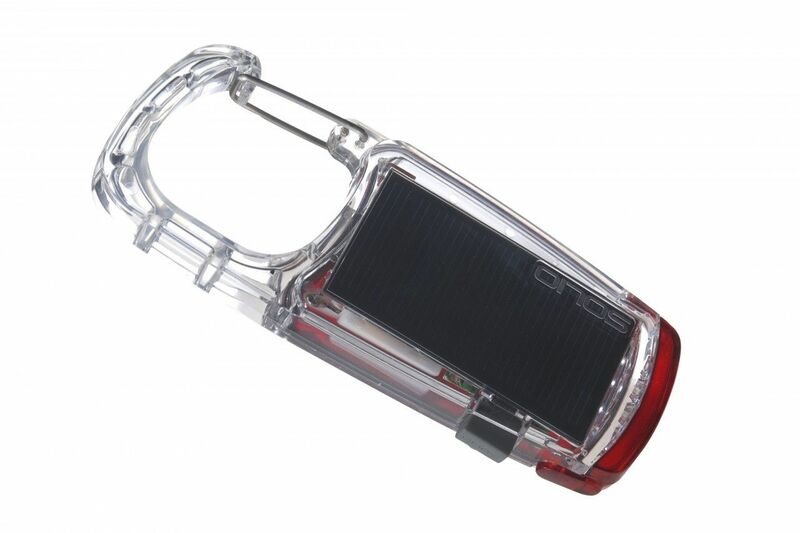 The Solio Mini-Clip is a flashlight with some great features. First off, it can be solar charged! Yes, great idea! Top it off with the fact that you can easily attach it to your backpack or belt loop with the integrated carabiner clip so that it charges during the day via the solar panel in 5-7 hours. By nightfall, you’ve got a flashlight with a multi-function LED light. The light modes include a continuous beam at three brightness settings (100%, 50%, 10%), a steady flash, and an SOS flash for emergencies. Running times vary depending on the setting: 3 hours on 100% mode, 11 hours at 50%, and an impressive 33 hours at 10%, flashing, and SOS flashing. A red filter folds down to soften the light beam, and when it’s in flashing mode, the diffuser turns the Clip-Mini into a safety light! If there’s not enough sunlight, just plug it into a USB port using the included cable, and you’ll have a fully charged unit in about an hour’s time. Smart design and a smart product – the Solio Clip-Mini is a key piece of gear to have in your TrailblazerGirl arsenal of outdoor gadgets!